The Programme Officer in the Substance Unit of the Ministry of Health and Wellness has issued a warning to adults not to introduce minors to alcohol during the festive season. Nadiege Smith spoke against the backdrop of the ministry’s launch of a substance abuse campaign aimed at raising awareness about the harmful effects of alcohol use. The Substance Abuse Unit is working closely with the Traffic Unit of the Royal Saint Lucia Police Force to educate Saint Lucians on the impact of alcohol on the family, community, schools, workplace, health care system and society as a whole, the ministry said in a statement. “This campaign has been designed to show the other side of alcohol, to show the harmful effects it can cause and the diseases it triggers. I am not sure how many people out there know that alcohol consumption is a risk factor in twenty five chronic diseases,” the ministry official stated. Smith observed that in some homes, parents, guardians and others give children shandies, since they reason that the beverages do not contain much alcohol. 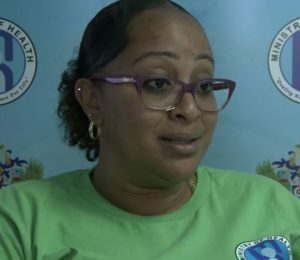 “We are saying to you that no minor should have alcohol, whether it be a point something, whether it be a sip from your glass,” she told Radio Caribbean International (RCI). Smith asserted that giving children alcohol results in them getting accustomed to the taste. She told the Communications Unit of the Ministry of Health and Wellness that it is important that Saint Lucians are aware of the dangers and health effects of alcohol consumption. “As we know, alcohol use is part of our culture, religious and social practices right here in Saint Lucia and it provides some level of perceived pleasure to many users,” Smith observed. But Smith emphasized the need to educate Saint Lucians about the risks associated with alcohol use, such as domestic violence and traffic incidents. “I really find that during carnival and Christmas and New Year’s, persons allow the children, teenagers to go ahead and have some fun you’re your friends and go out and they tend to consume alcohol during that time,” she noted. Smith pointed out that there are problems involving with adults who go out to parties, consume alcohol and drive vehicles. The Substance Abuse campaign will run until December 14 and will feature multi-faceted communications strategies comprising television and radio talk shows and discussions at health clinics. My dear, this country has lost its way. The amount of effort it would take to get it back to some semblance of decency is monumental. Unfortunately, there is not enough will to get it done so you’re spinning top in mud. How ignorant can a parent be …when the government has to intervene to ask you NOT to give your minors alcohol. Shame shame shame on the adults who do this. Isn’t this something basic which parents should know for themselves.